Ryan with his parents who often feature in his vlogs. 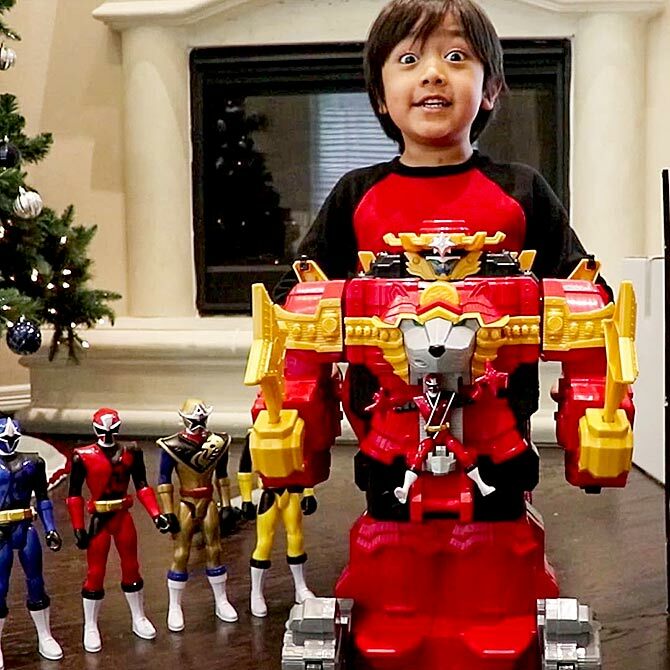 Ryan ToysReview is a YouTube channel started in March 2015. It is currently managed by Ryan's parents. Ryan's Family Review is an alternate channel that also features Ryan's toy reviews with his family. 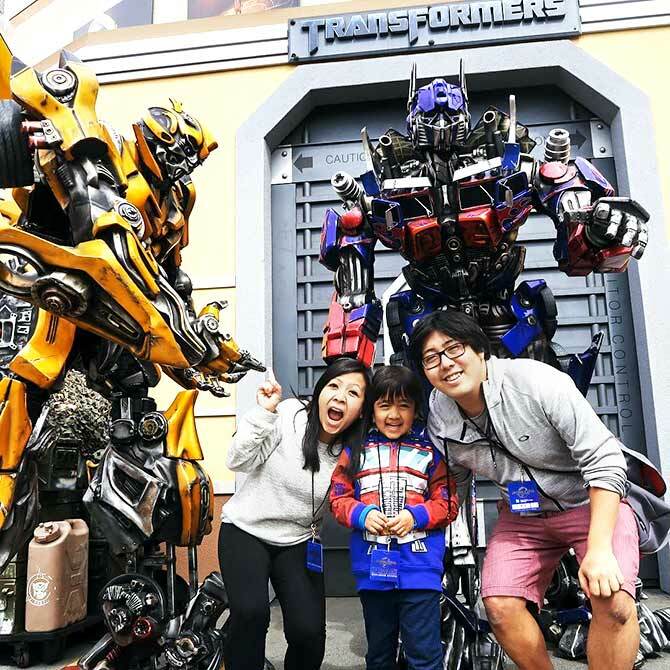 The channel describes the young American as someone who 'loves cars, trains, Thomas and friends, lego, superheroes, Disney toys, open surprise eggs, play doh, Pixar Disney cars, Disney planes, monster trucks, minions' and more. In his videos, Ryan is shown unboxing toys and game products filmed by his parents. He is seen giggling and playing with the toys by himself or with his parents. The start-up Pocket Watch now packages and sells Ryan's World merchandise through Walmart. According to Forbes, the $ 21 mn he earned came from the pre-roll advertising on his channel. The remaining $ 1 mn, the magazine says, is through sponsored postings. 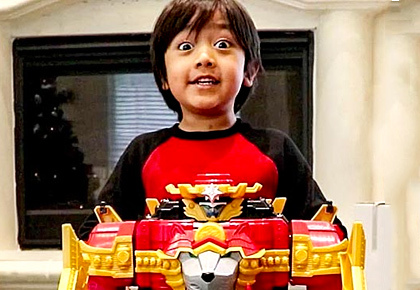 In 2017, Ryan ToysReview signed up with kid's entertainment studio Pocket Watch. 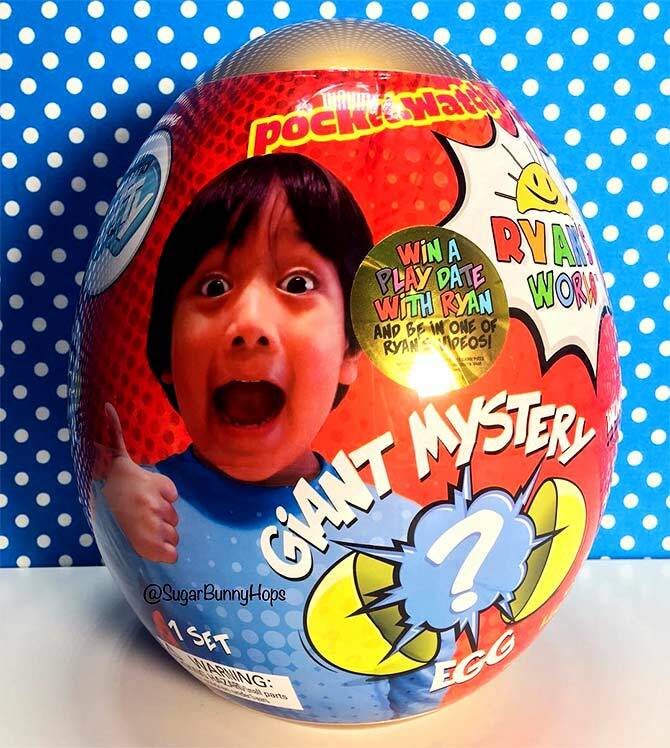 In August, he launched Ryan's World, a toy and apparel collection which retails slimes, putties, printed t-shirts, toy cars and more which are sold exclusively at Walmart. While most of us may love to believe that Ryan is spoilt for choice, he is responsible too. 'Most of the toys we used to review are being donated to local charity,' the channel mentions in its description.